Balance growth, cost, inventory, and production with real-time plant floor data to effectively forecast—and deliver on—customer demands. Set accurate expectations by providing customers with reliable delivery dates based on actual availability of resources. Manage business against demand volatility with forecasts based on current state of inventory, future commitments, and what-if scenarios. Make production planning trade-off decisions considering rough-cut capacity constraints, inventory and customer service levels. Utilize advanced production planning options to level-load manufacturing across multiple plants. Reduce supply chain costs with a more realistic master production schedule that drives material, production, and resources allocations. 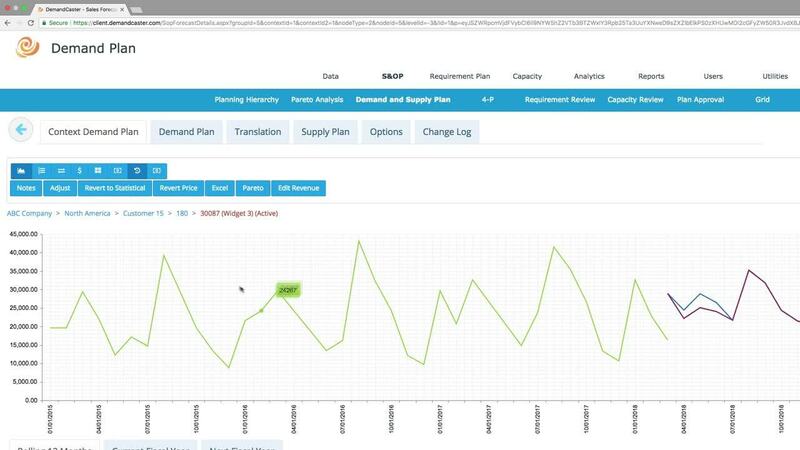 Gather data from across departments, plants, and supply chain channels, for a single-version of supply chain plan. What’s Happening on Your Shop Floor? Understand the importance of production control and visibility on your shop floor. Proactively plan your supply chain. Be more responsive to your customers.